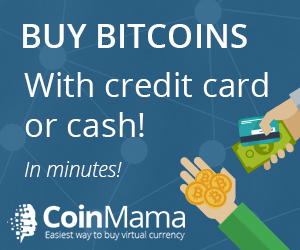 Exchanges and brokers listed at the Site are for the convenience of visitors who wish to transact bitcoin through buying and selling. As these exchanges and brokers are third parties outside of the Site Owner’s control and responsibilities, you are advised to do due diligence and research in your selection, and exercise caution when performing transactions. Advertisements that appear on the sidebar and elsewhere on the Site are also of third party source, and the Site Owner is not responsible for any action or result that follows upon visiting or participating of any program offered by such advertisements.